Many Thanks to Outgoing VAN President Lisa Yeager! She’s a colleague everyone can count on and a leader everyone wants! With that, Sound Generation picked up on her strengths and talents. Lisa is Sno-Valley Senior Center’s Director. I had an opportunity to visit and there were smiles all around, happy volunteers and growing programs! This is happening with Lisa’s leadership. Below are a few comments shared by our colleagues. Feel free to reach out to Lisa and share your appreciation. “Lisa was a mentor for me and I learned a lot from her about conference planning. She is very calm and organized.” – Lindsey I. “Lisa has been a consistent leader and advocate for local volunteer engagement professionals. For years, new and veteran professionals have benefitted from her efforts with the annual VAN Conference, professional networking and website—linking to information and each other. 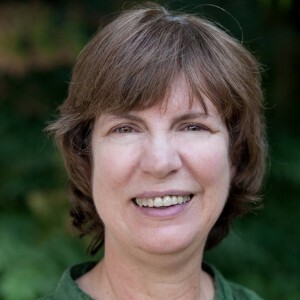 Her commitment to the field is steadfast and appreciated.” – Patrick T.
“Lisa was so welcoming when I started attending meetings two years ago and encouraged me to become part of the steering committee. She has been a constant for me with for VAN and she will be greatly missed.” – Paige S.
“Lisa is kind, thoughtful, and is always happy to answer questions about volunteer management!” – Sarah B. “Always cheerful, generous with her time, hard working, but in a way that makes the work look so easy. Always friendly with everyone, dedicated to the world of volunteer management.. Hard to imagine our volunteer management community without her. Long term commitment to DOVIA, and to VAN. good leadership skills, always giving tasks to her board and committee, demonstrating her belief in sharing the responsibilities of serving.” – Jane D.H.
Lisa will still be involved with VAN, we won’t let her get off that easily! We appreciate you, Lisa! Thanks a bunch! Alice Fong has almost 20 years of experience leading and working with volunteers and she loves it! Her experience stems from engaging volunteers at Tacoma Community College, YMCA of Pierce and Kitsap Counties, Veterans Administration/University of Washington, Bellevue Presbyterian, Jubilee REACH, and many other organizations. Recently, Alice led United Way of King County’s internal volunteer engagement and provided volunteer management support to hundreds of organizations throughout the county in various capacities such as promoting volunteerism, facilitating workshops, supporting United Way’s Volunteer Impact Partnership program, and other initiatives that work with organizations led by people of color. She is on the steering committee for Volunteer Administrators Network (VAN Northwest). Alice is currently a member of the King County Developmental Disability Board where she works on expanding their volunteer engagement plan, fulfilling her passion for promoting equity and inclusion. 4 Responses to Many Thanks to Outgoing VAN President Lisa Yeager! In my years with VAN, I had the opportunity to learn and grow, practice leadership skills, and I tract with other volunteer management processionals. The best thing about my time there, though, was getting to work with Lisa. I am so glad to call her my friend! Wow, I am overcome. Thank you so much. The people in this profession are the best around. Volunteer management is a skill many take for granted but it has changed my life for the better in so many ways. I’ll be seeing you around! Thank you Lisa! We are grateful for your service and leadership! Best of luck to you in your new adventure. Thanks Lisa for your many years of hard work and exceptional leadership. You will be missed as a leader but so glad you will still be around.